Sheena Faherty, Inquirer Staff Writer reports, "It's hard to teach empathy in the classroom, yet it's one of the foundations of the doctor-patient relationship. How well physicians can put themselves in their patients' shoes is directly linked with patient satisfaction." "When I was in med school, no one told me how to do that," said Dennis Novack, professor of medicine and associate dean of medical education at Drexel University College of Medicine. "You could watch your mentors, if you were lucky. Or make mistakes." 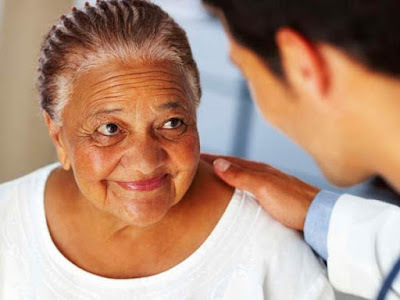 Numerous studies have shown patients with empathetic caregivers are more likely to stick to their doctor's treatment plan, leading to better health results. Doctors who can better understand their patients also are more satisfied with their work. And hospitals know how important patient satisfaction is to their bottom line, now that it is a factor Medicare considers in reimbursement. Medical educators at Drexel have designed a tool for Internet-based training for medical students using actors - or "standardized patients," as they're called in this context. Students get to practice what have been deemed the most effective communication techniques in a simulated setting before they face real patients. The patented program develops "more advanced skills, such as giving bad news, or counseling a mom who is reluctant to give immunizations to a child. These are dicey, difficult conversations," said Novack, who codeveloped the program. During medical care, you're "dealing with strong emotions. How do you manage when a patients' family is mad at you? What do you do?" The program fills the need for this kind of training by allowing students to interact with trained actors through a webcam. It's like a Skype session on educational steroids. During training, students are evaluated on their performance by the "patient" and receive immediate feedback on strengths and weaknesses from the actors, who have been rigorously trained in what to look for. The program also lets students see a recorded clip of their performance, as well as prepared scenes of an expert breaking bad news to a patient. "Learning in clinical medicine is always multimodal," said program cocreator Christof Daetwyler, associate professor in the department of family, community, and preventive medicine at Drexel. To fully understand the skills, he said, it helps to see a master do it first.